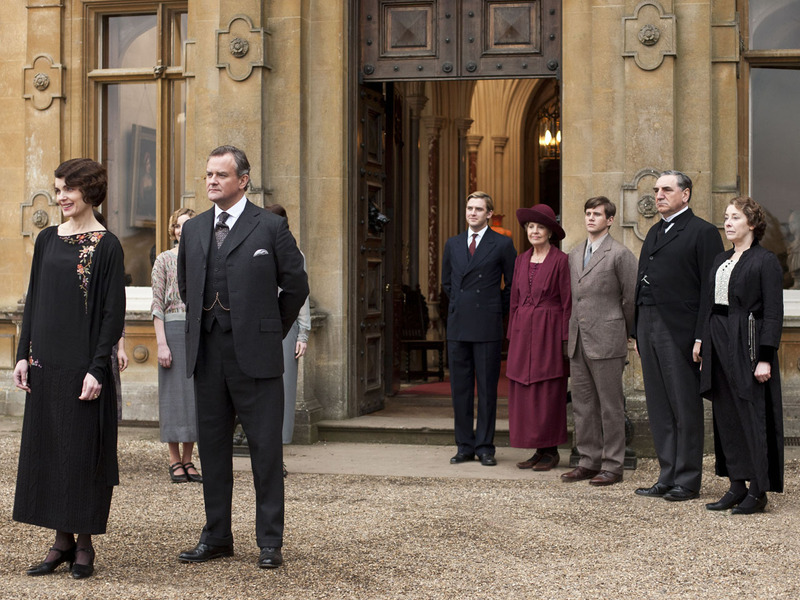 Select "Downton Abbey" fans are in for an early viewing treat and bragging rights. Apple said Monday that people in North America who hold iTunes season passes will be able to see this season's last three episodes of "Downton" before they air. The period drama's second season was the best-selling TV series on iTunes last year, Apple said, without disclosing the numbers. The exclusive preview of a TV series is the first for iTunes, the company said. The third season of "Downton Abbey" began Jan. 6 with an episode that drew nearly 8 million viewers, quadrupling PBS' average prime-time audience. The drama about British landed gentry and their household servants stars Hugh Bonneville, Dan Stevens and Michelle Dockery. Episodes are available beginning Jan. 29 on iTunes. The season finale airs Feb. 17 on PBS' "Masterpiece" showcase. Whether iTunes viewers can hold their tongues, spoilers about major plot twists already are out because the series has aired in Britain. That's raised questions about whether PBS should have aired "Downtown" concurrently with its ITV fall debut in the U.K. Speaking to the Television Critics Association on Monday, PBS chief Paula Kerger said putting "Downton" in the teeth of the competitive U.S. fall TV season may not serve the show or its audience. But PBS is keeping an eye on the situation and talking to stations and viewers about the issue, she said. Asked if the strong initial viewership vindicated PBS' scheduling decision, Kerger called the ratings "a beautiful thing," but added it will be interesting to see how viewership continues through the show's run. "Downton Abbey" is beginning production on its fourth season. Kerger refused to disclose any tidbits when asked if Shirley MacLaine would return as a newly introduced American relative to the Crawley family. "I'm not telling you anything about season four. Don't trick me," Kerger said, smiling.